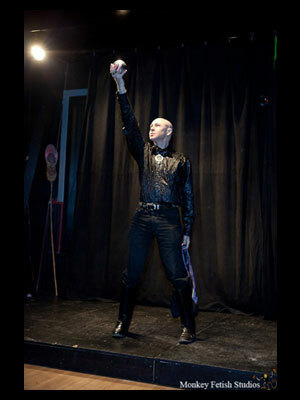 Ron Fitzgerald (AKA Master Ron Fitzgerald) is an Actor, Gothic Illusionist and Host for dark, sticky fun! 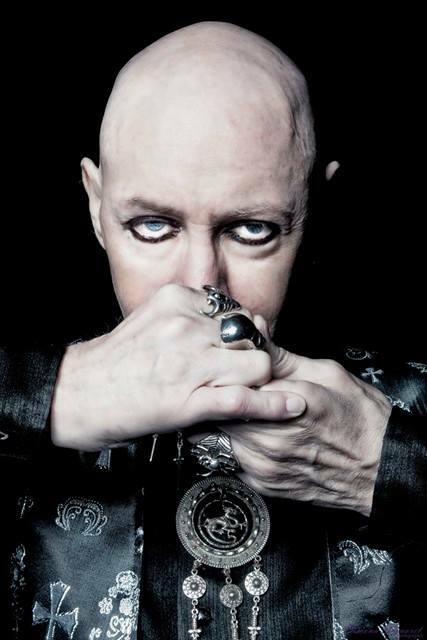 Fitzgerald has appeared in multiple Horror and Sci-Fi films and has performed live from Hollywood to Hong Kong with his sinister style of wickedly, theatrical, Gothic Illusion. 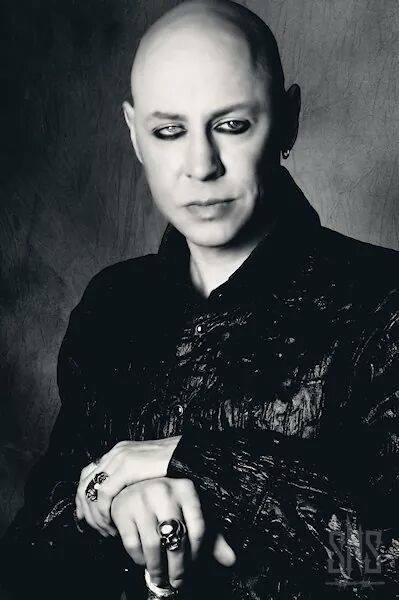 He's a unique and inventive Dark Artist that is so much freaky fun, he'll leave you screaming for more! Since his film debut in "The Item", a film that made Sundance history as the festival's first ever digital admission, Ron Fitzgerald has acted in a wide variety of dark genre films, portraying many mysterious characters, anti-hereos, and villians. 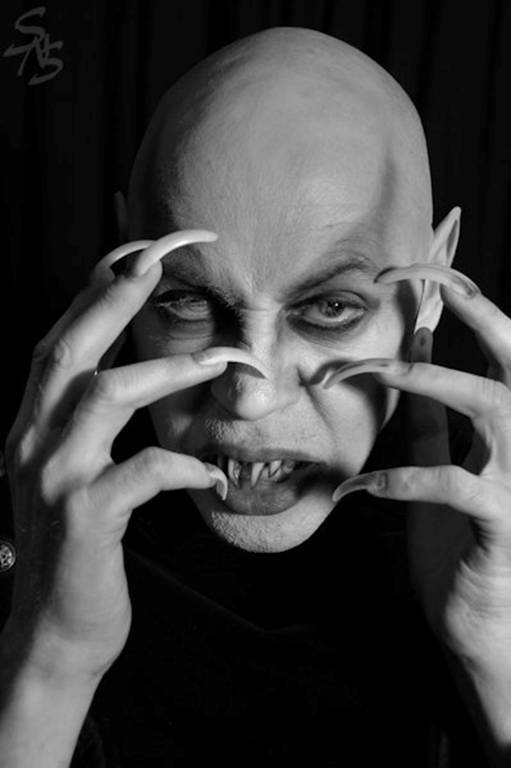 Among his many roles, Ron starred in the electrifying "Magus", a Horror/Fantasy film by director John Lechago. 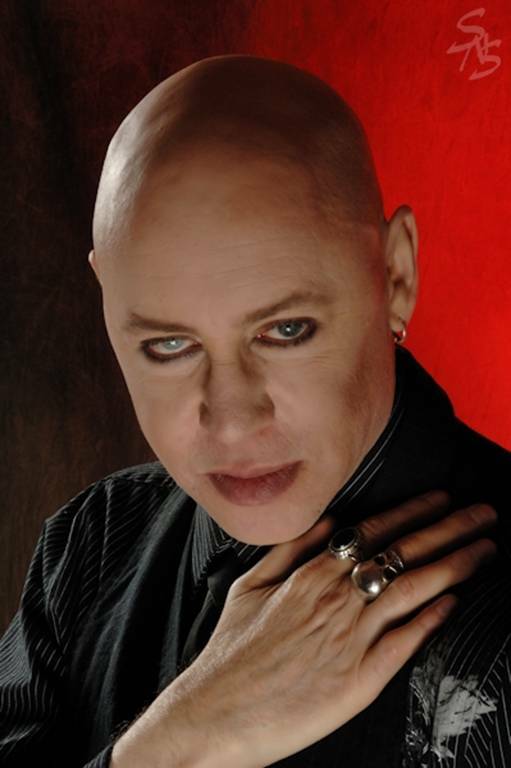 Fitzgerald co-wrote and co-produced the award-winning "Dark Realm", which is a unique film that artistically blends Ron Fitzgerald's Gothic Illusion perfromances and a Horror film narrative. With future projects such as "The Devil Frame", Ron Fitzgerald continues to bring his dark mystery and madness to the movies. 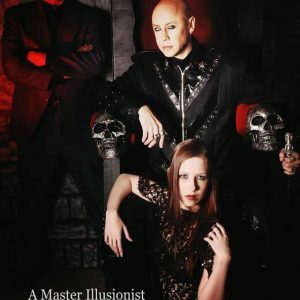 With his dark, theatrical presentations, sinister aesthetic and wicked humor, Master Ron Fitzgerald is one of the world's most unique illusionists. 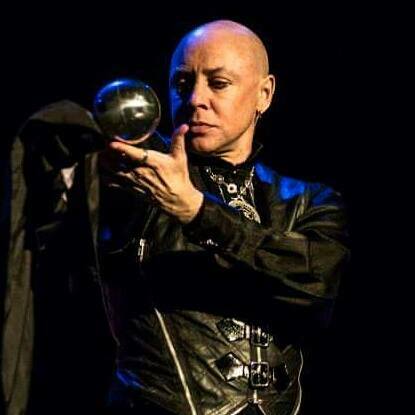 His live show "Fitzgerald's Realm of Magic" has taken him across the globe from the Magic Castle in Hollywood, to the Hong Kong Halloween Festival. and even to Hell itself, where he was the honorary Mayor of Hell (Michigan) for the day. Fitzgerald has literally performed to Hell and back with a plethora of engagements at dark culture events, venues, television and film along the way! DARK REALM is the story of a Master illusionist who may actually be in league with evil forces! 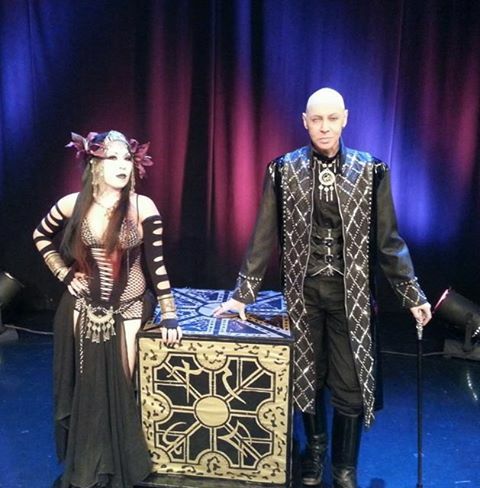 It's an artistic blend of Ron Fitzgerald's Gothic illusion performances and a Horror film narrative! Watch the entire Dark Realm Movie on Amazon Prime! Don't have Amazon Prime? Click here to get 30 days free and watch the Dark Realm! Ron Fitzgerald's Gothic Illusion performances are an unforgettable, one-of-a-kind experience full of dark mystery, stunning visuals and wicked fun, all uniquely presented with Fitzgerald's wicked humor and devilish charm. Master Fitzgerald has singularly taken the Art of Illusion where others fear to tread with his sinister style and provocative persona. 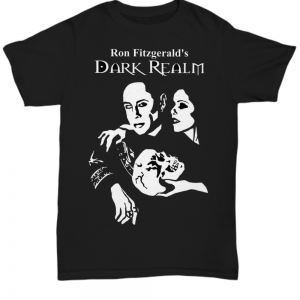 Fitzgeralds Realm of Magic is what Ron calls "Dark, sticky fun!" You must experience this for yourself! 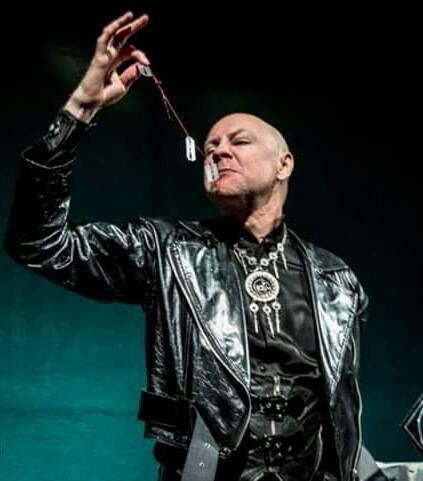 To book the mindnd-blowing, wickedly fun entertainment of Ron Fitzgerald, that your audience will love you for and long remember, contact us now for show packages and availability! 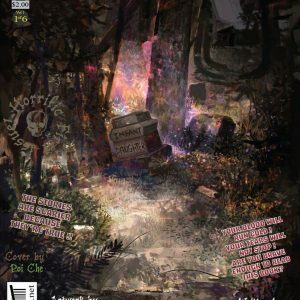 RON FITZGERALD FEATURED IN HORROR COMIC BOOK! 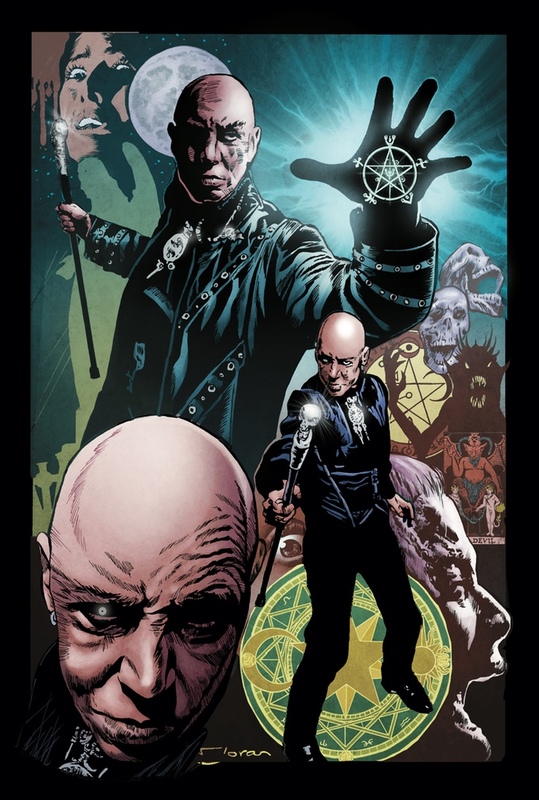 Fitzgerald's likeness and persona is featured inHaunting Tales of Bachelors Grove, a limited series of horror comic books from Silver Phoenix Entertainment, based on the real-life Most Haunted Cemetery In America.